Oxfam’s Canberra Centre shop, due to close by 13 February. File photo. Recent visitors to the Canberra Centre may have noticed the closure of Tree of Life on 5 January. Tree of Life has confirmed there are no plans to open a new store in Canberra at present. They are among a number of familiar businesses departing the Canberra Centre, including Oxfam. 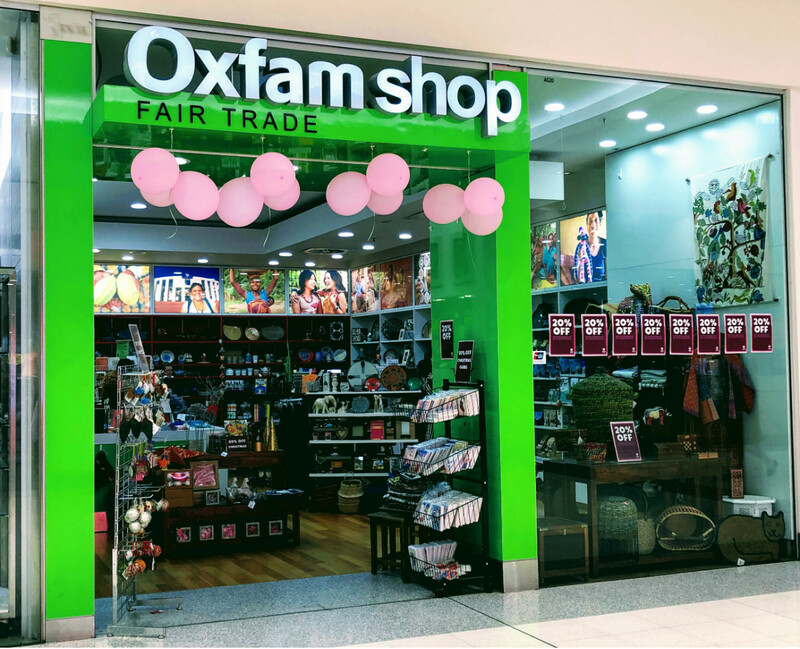 News that the Oxfam shop will also close its doors, with the final day of trading understood to be February 13, means that there will no longer be any shop in the Canberra Centre where all products are fair trade, for the first time in decades. “Just like many other Australian-based retailers, Oxfam Australia Trading is facing a tougher market, with increasing global competition and a continued shift to online shopping. 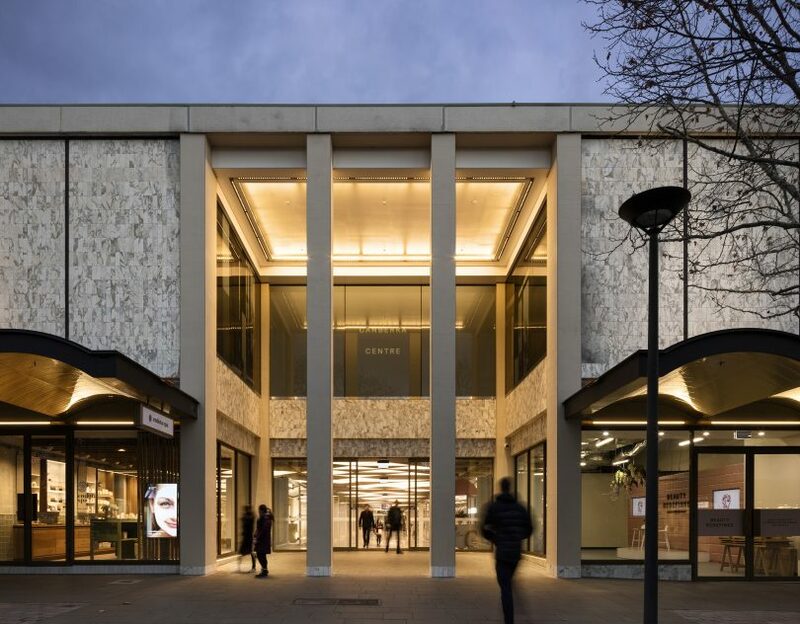 In line with these trends, the new model will shift a greater emphasis on our online store and reduce our focus on retail shops,” an Oxfam Australia spokesperson said. The Oxfam shop’s Canberra Centre lease expires on 28 February. Several other shops at the Canberra Centre are also closing down. Photo: Dianna Snape. Oxfam said that a staff consultation period was undertaken between 11-17 December 2018, during which staff were provided time to ask questions, seek clarification, make suggestions, provide feedback and communicate alternative options for consideration. Staff were advised on 21 December 2018 of the decision to close the shop. “It is important to acknowledge that the decision to close the Canberra store is in no way reflective of the commitment, efforts and performance of staff. Oxfam always makes every attempt to redeploy employees in roles made redundant, and will continue to do this with the Canberra store employees,” the Oxfam spokesperson said. The Oxfam shop provided an outlet for coffee, chocolate, sauces, books, homewares, jewellery, and skincare products from worker-owned co-operatives and fair trade producers worldwide, including Aboriginal-run co-operatives within Australia. Fair trade means that the workers who produce the goods are paid a living wage, have fair working conditions, sustainable practices, environmental protection, and empowers farmers and workers. This is stronger protection for workers than merely meeting all legal obligations. In some countries, the legal minimum wage is not enough to live on, minimum standards for working conditions may include work practices that are not safe, and may not allow workers to collectivise and form unions. “Shopping ethical, local, and buying fair trade is one way we as consumers can make a conscious choice and invest in a sustainable future,” says Sian Williamson, Amnesty International worker and an ethical shopper. For Canberra shoppers who want to continue to support fair trade, there are now limited options. Seeking out fair trade brands in mainstream stores is easier with the help of Fairtrade Association certification on coffee, chocolate, tea, and cotton. For clothing, Baptist World Aid Australia produce an Ethical Fashion Guide that you can download and keep on your phone. There’s a local option online, with Canberra-based online store Ozfairtrade.org endorsed by the Fair Trade Association of Australia and New Zealand. Even after the Oxfam shop closes its doors in Canberra, it will continue to trade online. But for shoppers who can’t wait for postage or prefer to shop in person, Oxfam’s closure is sad news. Tree of life have never been fair trade! What's going on in the Canberra's Centre? Lyn & Barret were forced out too. One reason I rarely visit malls. I find them very boring. Wonder what the Canberra centre is doing. That is another shop gone amongst several I have learned about recently. Emily Bresnahan tree of life closed?! financially unviable terms of a new lease and the intention to close the shop.” Says it all! Canberra Centre is only interested in brand name conglomerates..... they are not interested in family run businesses or fair trading businesses because they don’t know what fair trade is!! Most shopping malls are the same! A very misleading headline. Two shops close down – big deal – I’m sure some other stores will replace them. The Canberra Centre is not a charity. Oxfam is an internationally respected aid organisation - directly helping communities (esp. women) to build skills & move out of poverty. If you care about these types of shops remaining, you should let the Canberra Centre management know by contacting them directly! Moaning on social media won't help. Also, avoid other shops which sell cheap, poorly made stuff made by overseas companies who exploit women. Eco Stylist, Nina Gbor maybe we need to set up a meeting with the Canberra Centre? Canberra Centre what is your fair trade policy? What steps do you take to support businesses who can guarantee no slavery or exploitation of workers in their supply chain? Tree of life is not a certified fair trade brand, I'm not sure where you we getting your information from. According to shop ethical and good on you they are rated "not good enough" and aren't transparent about their manufacturing procedures. And in the Baptist world aid fashion report, they are ranked a C https://baptistworldaid.org.au/resources/2018-ethical-fashion-guide/. The RiotACT pls see the above. You make a fair point re Oxfam closing, but please stop spreading the myth that Tree of Life is fair trade, despite what they would have you believe! If companies like Tree of Life want to promote a fair trade/ethical 'aesthetic', they need to actually do the work. Jess Oh thank you for tagging them, it wouldn't work for me! If you really wanna be green/ethically responsible, don’t shop at all, or shop secondhand or from local craftsmen. Emma Em though if people lose their jobs because you won’t shop there anymore, how is that ethical either?! What we need is diversity of shops, a mix of big brands and independents, variety. And holding shops/brands accountable to their practices. But malls will never do that as they are only after the biggest profits. Garema place could be redesigned to be a thriving independent creative shop scene .... at the moment the city is shocking, outside of Canberra Centre. It was a shock to see what it looked like when moving back to Canberra last year. Samantha Simpson-Morgan what we need do is create new industries, and base our economy on services and fair employment not consumerism, things and the exploitation of the most disadvantaged in our societies, who are 99% of the time women and children. Smita Patel it’s not a weird comment at all. It feels quite elitist to me to say all shops are bad and we should stop shopping or only shop ‘fair trade’ or from a local crafts person. As an artisan designer myself, I wouldn’t only expect people to buy solely from people like me. After all, where would you buy your furniture, your phone, your computer, your car? Big brands have their place as long as their supply chains are monitored and held accountable. What I was saying is, in malls and shopping centres we need diversity. Big brands also provide jobs to lots of people. Where shall those people work if the brands weren’t there? What about their supply chain, all those workers? What? I was just in both these shops the week before Xmas! !